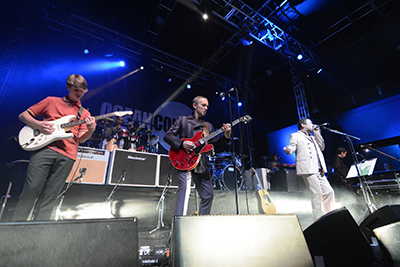 A rainy Wednesday night saw the Ocean Colour Scene and Martha Reeves and the Vandellas provide Christmas cheer on their tour which is covering all points of the UK. A few people had wondered why a Motown legend was on the same bill as a band that were in the vanguard of the Britpop era of the late 90’s. But I have to say that it was a glorious clash of musical styles that worked a treat, and was well received by the large crowd in Leeds. As another Summer turns towards yet another Autumn, and with warm days soon to be replaced by shorter cooler days, I find myself in North Wales, (or more precisely) in Portmeirion, for my second visit to Festival No.6 now in its third year of being. Portmeirion, a rich and colourful Italianate village designed by the late Architect, William Clough Ellis and built overlooking the River Dwryryd estuary was home to the 1960’s cult TV show “The Prisoner”, the lead character played by Patrick McGoohan who was the “No.6” that the festival references. 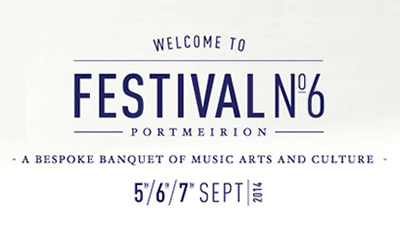 Festival No.6 takes place over the weekend of the 5, 6, 7 September 2014 in the stunning village of Portmeirion, Wales, home of cult TV series The Prisoner. 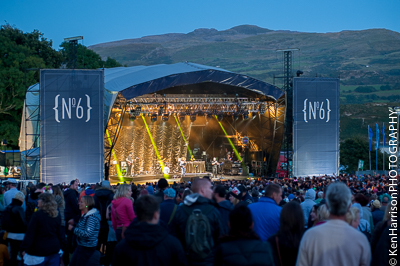 The multi-award winning Festival No.6 features an extensive line-up, headed by the iconic Pet Shop Boys as well as Beck, Laurent Garnier, Norwegian disco king Todd Terje and London Grammar.